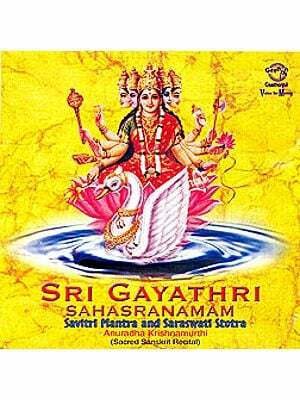 This album is a unique collection of songs and slokas on the Goddess of learning-Saraswathi. 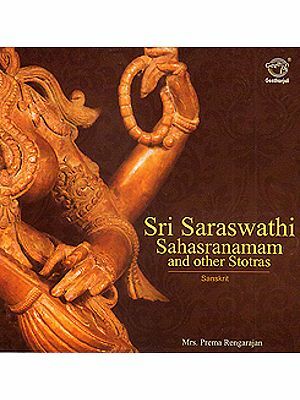 The word Saraswathi means everflowing and that is why she is connected to music and poetry. She is the Goddess of speech, knowledge and wisdom. Her traditional image shows that she is dressed in white, seated on a white lotus, has the swan as her vahana. The swan is a symbol of higher learning or para vidya. She holds a veena and a book in her hand, which is how she is described in the songs. Interestingly many of the ragas in which these compositions have been sung are also name of rivers line Vegavahini, Saraswathi and Sharavati. As Vagdevi or the Goddess of speech and music she has bestowed her blessings on poets, sages and musicians.